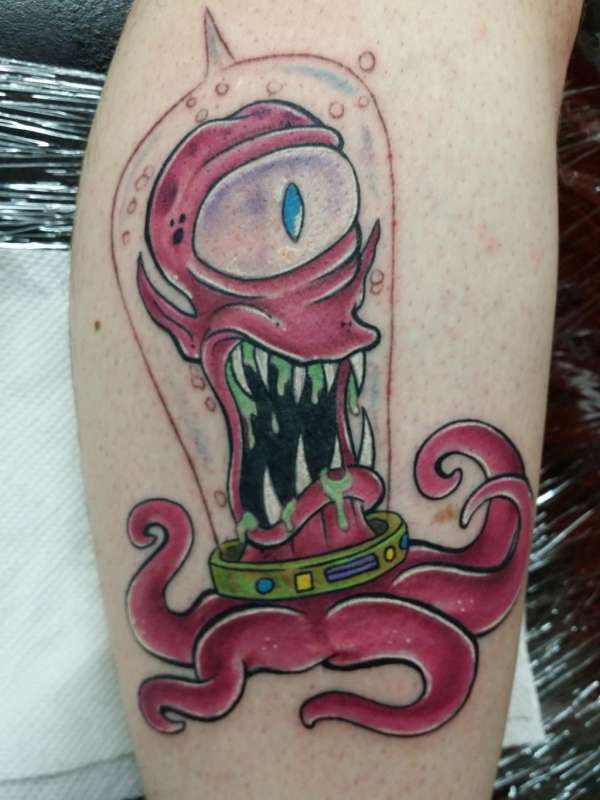 This is the start of a Simpsons in space themed leg. Tattoo looks a bit odd since the background has not been done yet. Tattoo was done by Rev. J.R. out of Vicious Ink in Rochester Hills Mi.